When you buy a Wild Place gift or experience, you will be directly contributing towards supporting our conservation projects worldwide. With animal welfare at the heart of everything we do, we pride ourselves on respecting our animals by making no unnatural or unnecessary physical contact with them, while offering a once in a lifetime opportunity to go behind the scenes and get even closer to your favourite animals! Our animal experiences start from as little £40. Please click on the above links to find out more information on each experience. 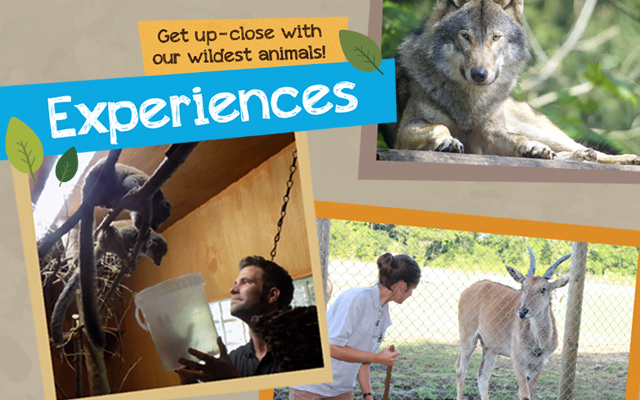 For more information on our animal experiences please call 0117 428 5602 or email info@wildplace.org.uk.